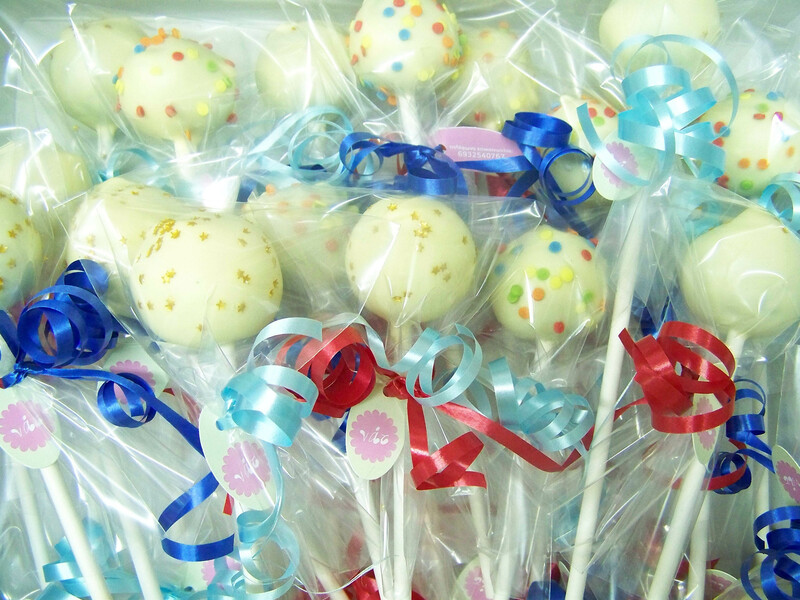 Chocolate cake pops with a white chocolate covering decorated in different edible sprinkles. 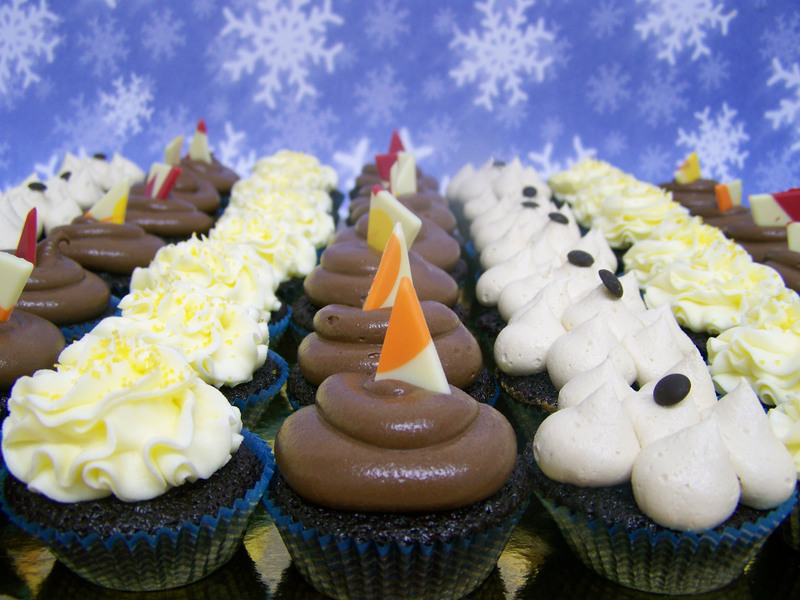 Chocolate mini cupcakes with tangerine, coffee and chocolate buttercream. 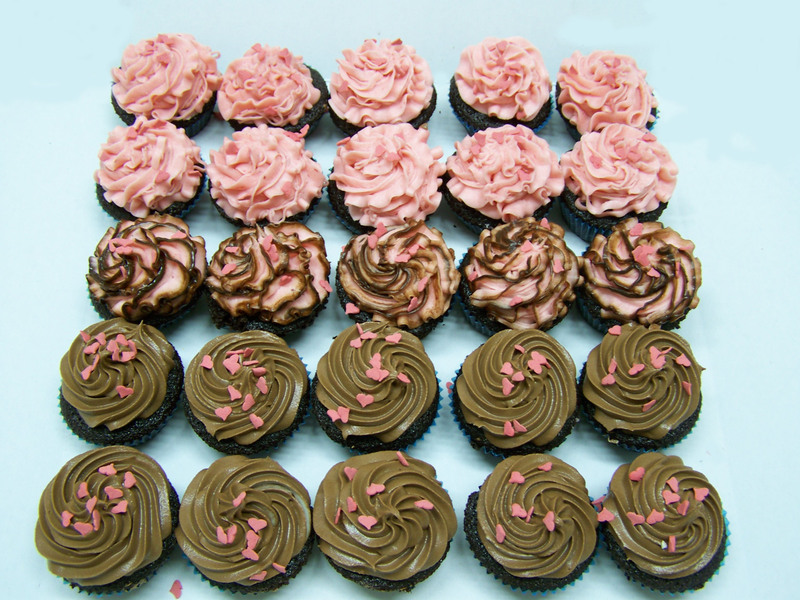 Chocolate cupcakes with strawberry and chocolate buttercream.